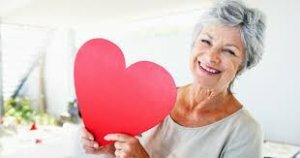 Valentine’s Day Ideas For Seniors | Full Circle Home Care Inc. The month of February is host to arguably the most romantic holiday, so it may come as no surprise that February is commonly referred to as the month of love. We mean, who wouldn’t love a holiday where the most common gifts are chocolate and flowers and your sweetheart professes their love for you? From Kindergarteners handing out cards and candy to classmates to elderly loved ones and everyone in between, Valentine’s Day is a holiday for people of all ages to enjoy. In fact, according to statistics, nearly 180 million Valentine’s cards are exchanged annually. In addition to cards being the most popular Valentine’s gift, candy and flowers are close runners-up for being the most popular gifts given. While Valentine’s Day is a holiday that brings love and cheer, for elderly loved ones who may be missing their significant other it can also bring heartache and sadness. To help stamp out the sadness, we have compiled a list of our favorite Valentine’s Day senior activities and gifts to insure every senior in your life enjoys this special holiday. Plan a special outing- This doesn’t necessarily need to be today on February 14. Planning a special lunch, manicure or day out is a great way to spend time with your elderly loved one and show them you care. On Valentine’s Day try to set up a time for a visit, phone call, or Video call so that you can spend some quality time with your loved one. (1) Help your loved one decorate their space. Whether they live at home or in a senior home, plan a time to decorate their area with Valentine’s decorations. This is also a good time to make some decorations of your own with your elderly loved one. (2) Bake some Valentine’s goodies with your loved one. Heart-shaped cookies and fudge are a fan favorite. (3) Watch a valentine’s or romantic themed movie with your loved one. You’re never too old for a Valentine’s Day gift, these gifts are perfect for the elderly loved one in your life. (1) Have flowers delivered to their place of residence. (2) Send a gift card- Some seniors may be on a limited budget so having a gift card would allow them to buy whatever they like. (3) If your loved one is aging-in-place, set aside some time each month to go clean up the house and yard. (4) If the senior has grandkids, anything home-made by the grandchildren will mean the world to them. (5) Electric household items such as toothbrushes, shavers, one-touch lamps, large display clocks. Anything that will make day-to-day living easier for your loved one. While all these gift and activity ideas are great, perhaps the best thing you can give your elderly loved one, is the gift of your time. It may be tough to take some time out of your busy schedule, but your elderly loved one will absolutely cherish it.